Over an extended involvement in the photographic industry, commencing just before the introduction of the Kodak Disc camera back in 19 I’ve forgotten, the last 12 months or so have been the most mind-dumbingly boring I can recall. ( And that includes working for Kodak for 12 years!) Little in the way of real technological innovation has come our way – with even Sony easing off on new gear. Innovation’s sickly little sibling, iteration, has also been a seldom seen kid. But it turns out most of the major players in photography haven’t lost their mojo, they’ve just been keeping their cards close to their chests. 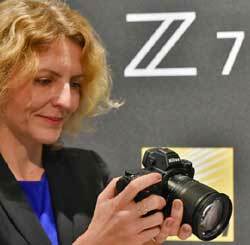 Now there’s a veritable wave of innovation on show at Photokina in Cologne. They come and go, these Photokina exhibitions, and not all are worth the air ticket. This year looks like a game-changer. The most exciting outcome stemming from the plethora of new camera and lenses, technology announcements and new alliances from the likes of Nikon, Canon, Fujifilm, Phase One, Panasonic, Sigma and Leica is that for the first time since the start of the digital photography era, we will see real competition in the industry. 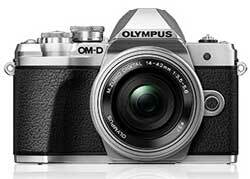 Since the introduction of digital cameras, we have had a series of little duopolies, like Canon and Nikon in DSLRs, and Olympus and Panasonic in M43. Will the entry of more players in the 35mm camera segment put pressure on other formats? Whatever segment you were interested in – APS-C format DSLRs, say, or Micro 4/3 mirrorless, or full-frame DSLR, the options were limited to one, two or at most three brands. We effectively had a series of micro markets for cameras, whereas back in the film era, 35mm photography was king. The unmatchable advantage a 35mm format digital – and film – cameras have over smaller formats is greater control of depth of field. It may well be a large part of the reason for the revived interest in 35mm film photography. It’s not just a hipster affectation; the photographer has more creative control. For the last decade or so we’ve pretended that’s no big deal, finding new techniques and workarounds to make get the most out of the smaller formats, but we’ve been fooling ourselves. Small-sensor format cameras have been developed over the last decade or so not because they were superior to full frame sensors, but because full-frame sensors were simply too expensive to put into consumer cameras. We had to wait until the cost of manufacturing these incredibly elaborately transformed technological miracles was low enough for them to be viable in anything less than high-end professional tools. We clearly have Sony to thank for taking the lead in sensor technology. Sure, Micro 4/3, APS-C and even 1-inch sensors enable the manufacture of more compact cameras, but the size of, say, a Sony full-frame mirrorless seems about right size for a serious hand-held camera. Much smaller and the dials and switches get fiddly and the camera less suited to larger, or older, hands. Full-frame DSLRs, on the other hand, with their mirror mechanisms and chunkier lenses can become a bit of a millstone around the neck – even with a Black Rapid neoprene strap! Sony’s latest EVF has 5.6 million dots for 1600×1200 resolution. Mirror mechanisms – who needs ’em? Along with full format sensors, the other critical piece of technology we have all been waiting to catch up with our needs has been electronic viewfinders. Pentaprisms made the portable single lens reflex camera possible back in the day. They were a technological breakthrough in the 1930s, but in the digital era they are a legacy technology hanging around until electronic viewfinders, with their clear advantage of ‘always on’ live view, no moving parts, and lack of bulk and weight, became a viable alternative. That time has come. In May Sony announced an OLED electronic viewfinder display with a resolution of 5.6 million dots and a refresh rate of 240 fps, double that of current EVFs. 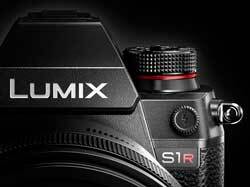 In August there was one company with mirrorless full frame cameras. In the coming months Sony, Nikon, Canon, Panasonic, and Leica will all be competing in the full-frame mirrorless market, while Fujifilm is even trying to present it’s latest light-weight medium format mirrorless, the GFX 50R, as an economy-sized full-frame camera. 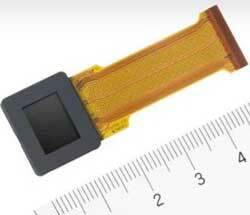 Sigma is rumoured to be preparing to enter the fray as well with its Foveon sensor technology. While prices for these new cameras are still a tad high for most consumers, early adoptors will enthusiastically embrace the new levels of choice they will be offered. It’s inevitable that prices will drop, and every new entry level full frame mirrorless camera will be more affordable than the last. Competition will lead to increased demand, which will contribute to improved economies of scale at sensor and EVF fabrication plants. This will in turn negatively impact the market for small-sensor interchangeable lens cameras, both DSLR and mirrorless. It could well be that, except for some niche applications, such as Panasonic cameras with there clear superiority shooting high quality video, the era of APS-C and Micro 43 cameras will draw to a close much faster than we might anticipate. 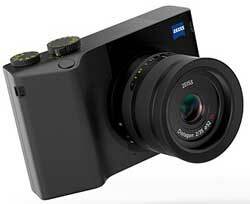 Even lens specialist Zeiss has entered the full-frame jamboree with its first ever camera – the 37-megapixel Zeiss ZX1. The other competitive dynamic which can only be good for photographers is lens manufacturers such as Sigma and Tamron and new brands from Korea and even China going upmarket to compete with the camera brands. With high-performance, wide-aperture primes and zooms from Sigma in particular at around half the price of their Canon, Nikon and now Sony equivalents, photographers on a budget now have a choice, and the competitive pressures will also serve to moderate the camera maker’s high-end lens prices. All in all, 2019 is shaping up as a great year to buy some new camera gear! This entry was posted in Opinion, PHOTOKINA 2018 by Keith Shipton. Bookmark the permalink.